hd00:15NHA TRANG, VIETNAM - NOVEMBER, 19, 2016: Difficult traffic on the street. Many motorcycles. hd00:16HO CHI MINH, VIETNAM - APR 19, 2015: A lot of unidentified people drive by motorcycles in Pham Ngu Lao Street. 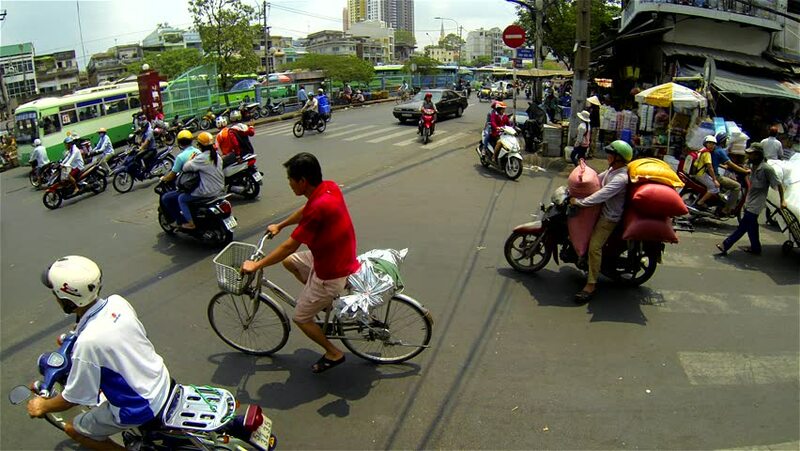 Motorcycle is the most popular transport in Vietnam.